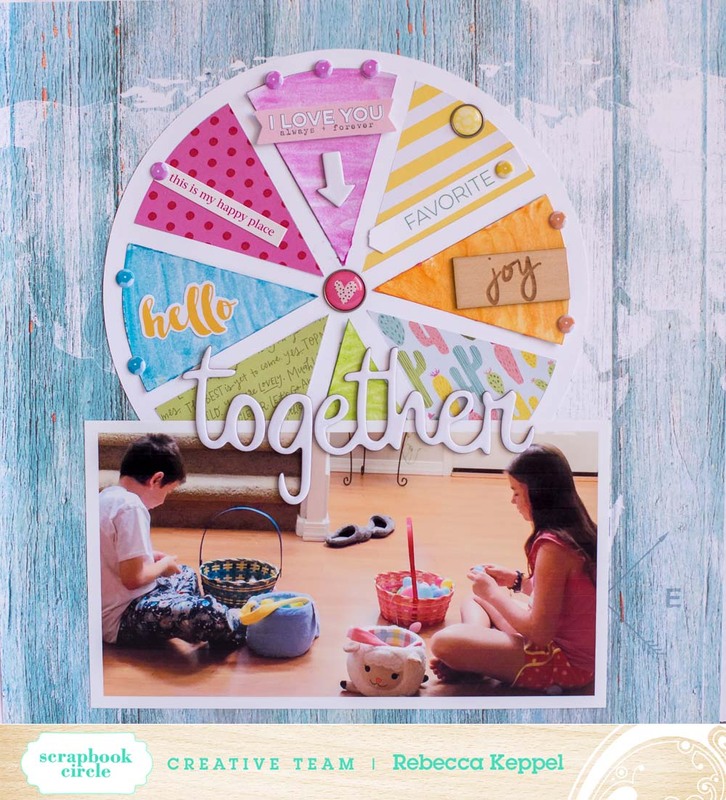 I have new video up on the Scrapbook Circle blog using Tim Holtz Distress Crayons and the April Scrapbook Circle kit. I used the Scrapbook Circle exclusive digital die cuts to cut white cardstock into the pie chart shape. Then I scribbled the Distress Crayons on several of the pie chart pieces. I then used a brush and water to move the color around. You can see the whole quick technique in this short video!